This post was sponsored by Disney Book Group #SanityandTallulah. All thoughts and opinions expressed in this post are mine. Affiliate links are used in this post. 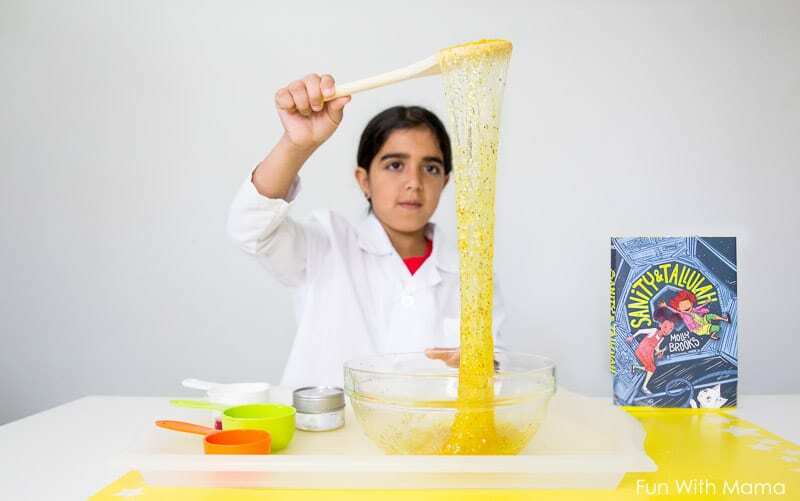 My 9 year old daughter loves science, as might be evident with all the science experiments we do at home. Maybe that’s why she was glued to this STEM-themed comic-style book, called Sanity & Tallullah. Don’t you just love it when a book starts right at the peak of an event. It instantly captured her attention from the very first page. 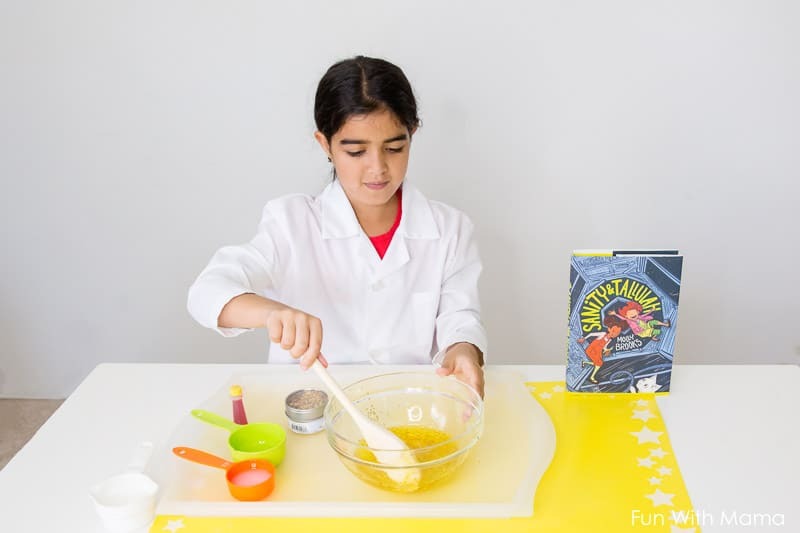 I love that this book encouraged my daughter to get all “scientist” on me by gathering her ingredients to create her own version of a Taffimatter glitter slime. In this funny and smart science fiction graphic novel by Molly Brooks, best friends Sanity & Tallullah must find their adorable and totally illegal science experiment when she escapes in the space station they call home. Sanity Jones and Tallulah Vega are best friends on a space station called Wilnick. Sanity uses her lab skills and energy allowance to create a definitely-illegal-but-impossibly-cute three-headed kitten, called Princess, Sparkle, Destroyer of Worlds. Yes, there are three heads each with their own personality! The kitten escapes and wreaks havoc on the space station. The girls have to turn Wilnick upside down to find her. This is book one of a three-book graphic novel series following best friends Sanity and Tallulah. 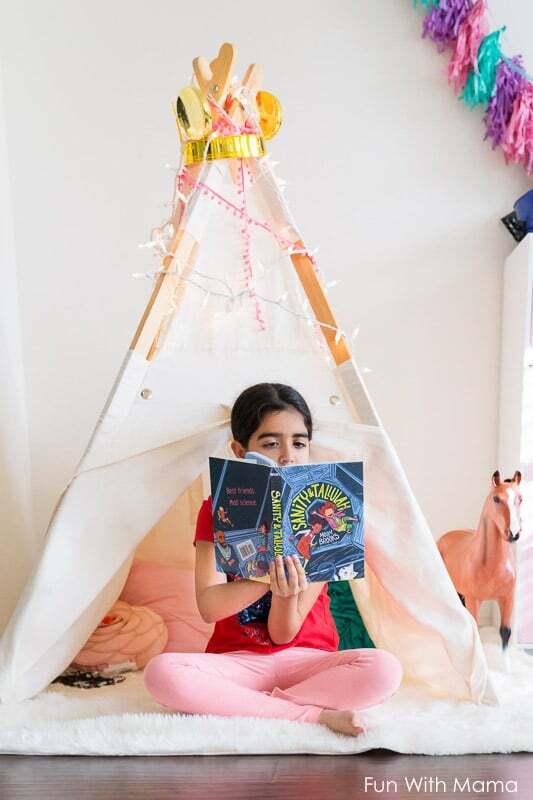 My daughter loves reading stories that extend beyond one book, especially when she loves the characters so much. 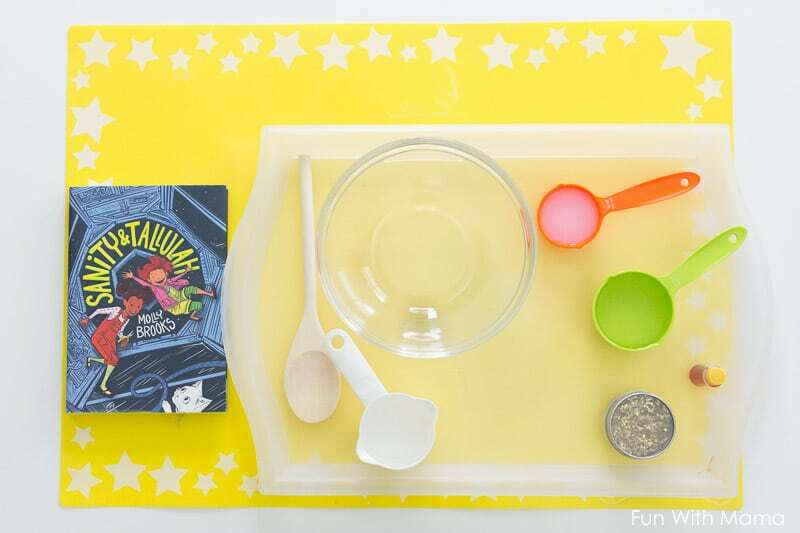 Sanity & Tallulah encourages experimentation and problem solving, and also includes loads of imaginative biology, tech, and engineering references. 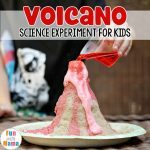 It’s perfect for kids who love science, as well as parents and teachers wanting to check out STEM titles. I also love that the vocabulary words are a little higher level than what I have previously seen in middle-grade readers. My daughter loved reading about Taffimatter, an unstable energy source that Sanity uses in the lab to create this illegal three-headed-kitten. 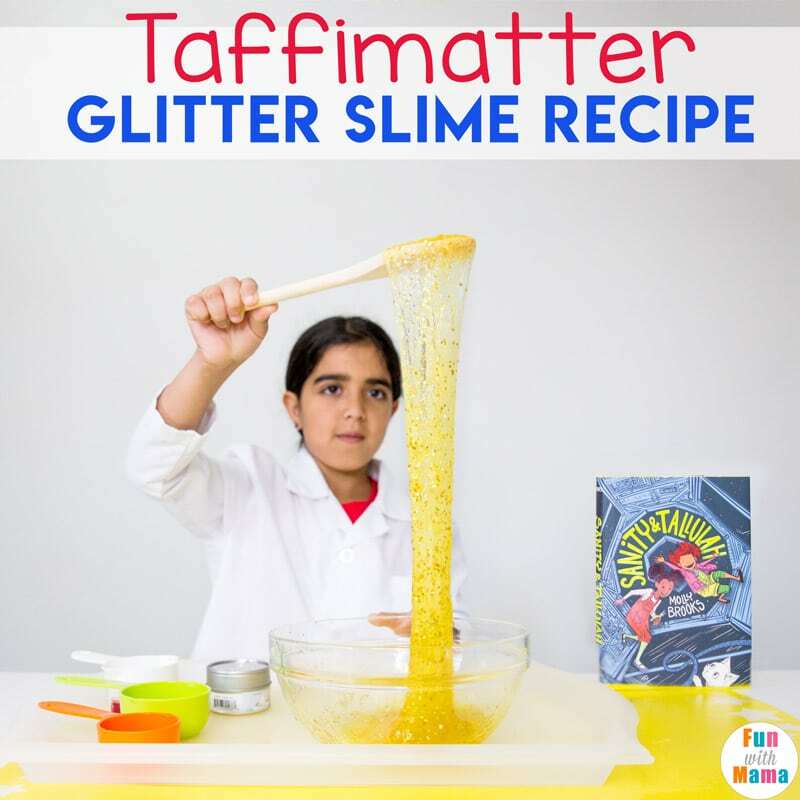 When looking at Taffimatter she said it looked a lot like slime. 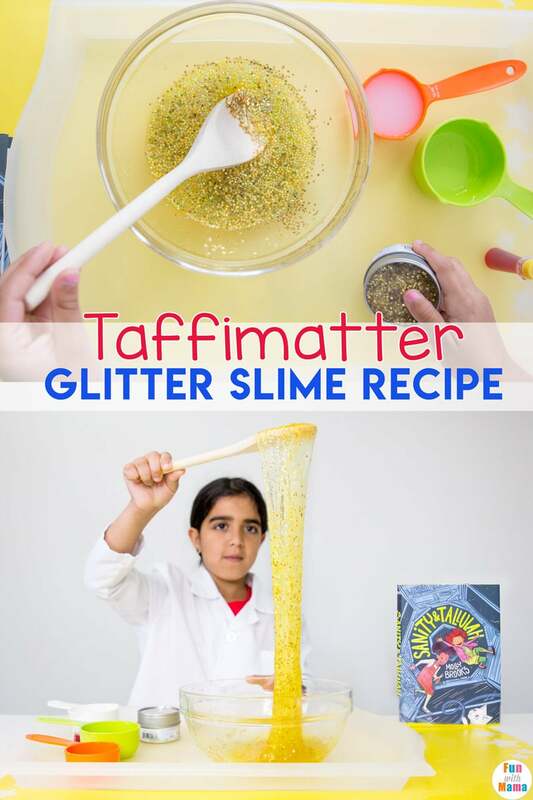 My 9 year old came up with this fabulous Glitter Slime Taffimatter creation using items we had at home. 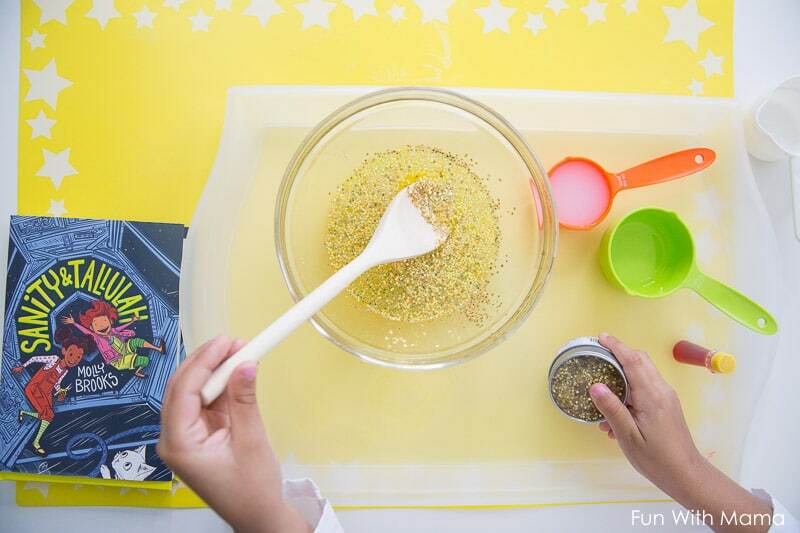 The sparkly glittery stars add to the magic of this slime recipe. 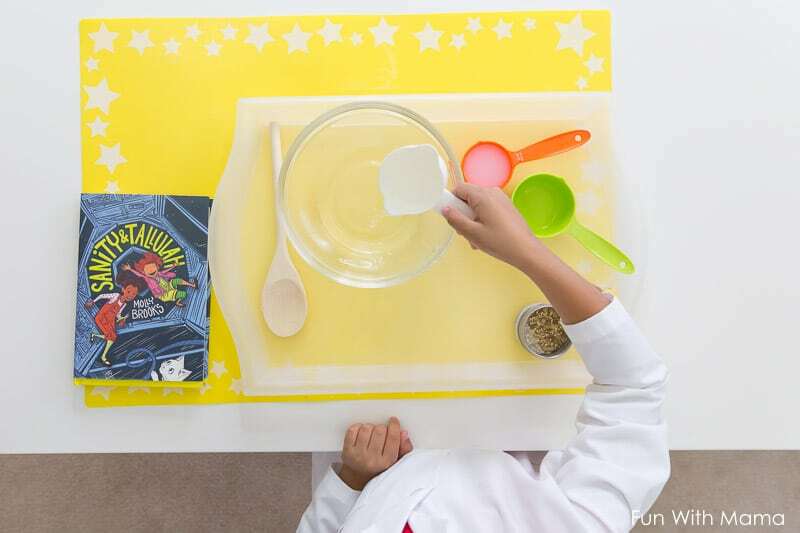 Please note: As with all science experiments and chemistry projects, parental supervision is required and gloves are always recommended. 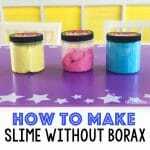 Add in your clear glue, water food coloring. Then add in your glitter. Use as much as you want. 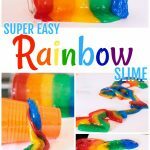 Now start adding your Staflo in slowly… If you add too much your slime becomes too hard and unusable. 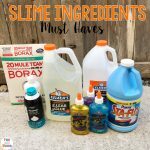 Slime is definitely a science.. sometimes your slime experiment works, other times it doesn’t. That’s what’s so great about it… your child has to figure out how to put it together. If something needs to be added, they can try to troubleshoot it. At this point, we had used 1/4 cup of Staflo. This is the time you should pick it up and start kneading it with your hands. 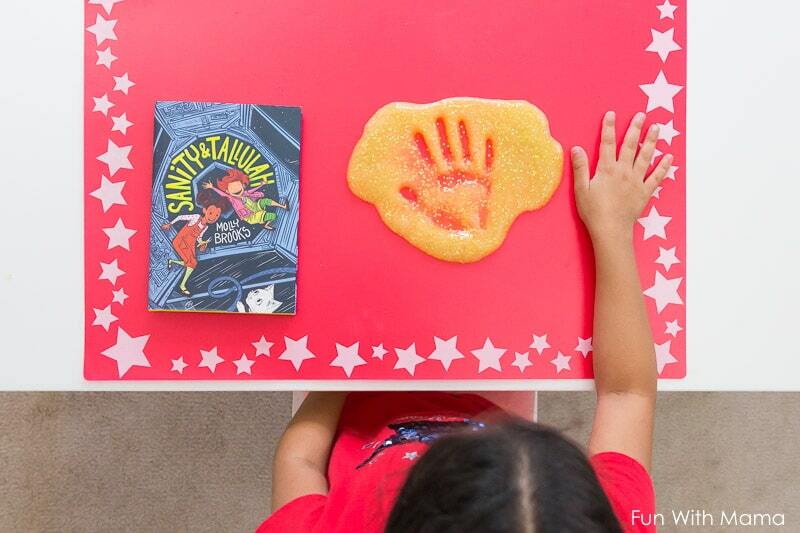 Slime HAS to be kneaded… it helps it become less sticky. If your hands are colder, the less sticky it will be. It was still too sticky so we added about 1/8 cup more. Then it was all ready!